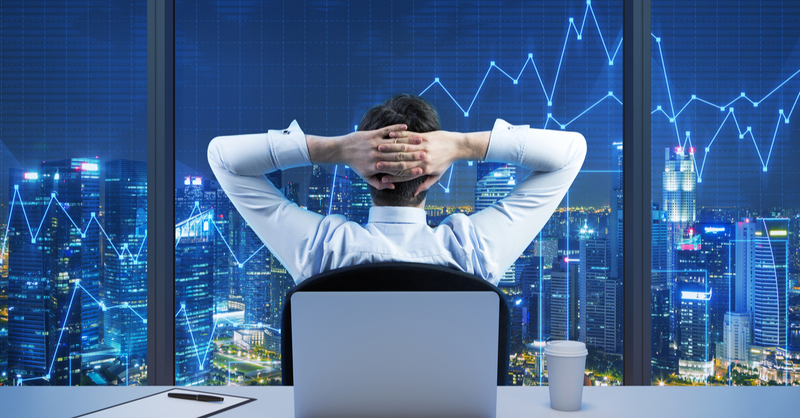 If you as a trader were hoping to find the holy grail in trading, here's the news for you – there is no such system or strategy that can guarantee you profits all of the time. Although there is a great amount of trading tools that can be used by Forex traders, there are only a few most common mistakes that are made by investors when trading. That's why they say that all fortunate traders make money in different ways, but all failing traders lose it the same way. As a rule, a trader needs to spend some time on testing of different trading strategies and systems in order to find those that work for him and can gain him profits. This might sound like a recipe, but usually the most profitable Forex trading system for a particular trader is composed of 50% of a strategy that you comprehend fully, and the other 50% of a strategy that you are able to keep up with patiently and confidently (which is the case when you trust the strategy to be successful). There is one very important fact relating to the latter 50%. Traders who fail do so not due to defects in their systems, but because of lack of discipline to follow it. Pay attention to this notion – it might rescue your account one day. When starting to trade, a beginner trader quickly realizes there are a great variety of tools that can be used in Forex trading with great creativity. One of the options is to borrow a strategy that is a mix of techniques and styles and to accommodate it to his preferences. Another option for a trader is to start from scratch and create his own blend of technical indicators, fundamental indicators, charting techniques, and trading styles. Then, this creation is continuously shaped with the trader's progress; new tricks are added, and obsolete parts of it are disposed of. In general, a strategy is amended by a trader, a trader changes with the market, and the market alters with time. Generally, all trading indicators can be put in two broad groups of trading tools. 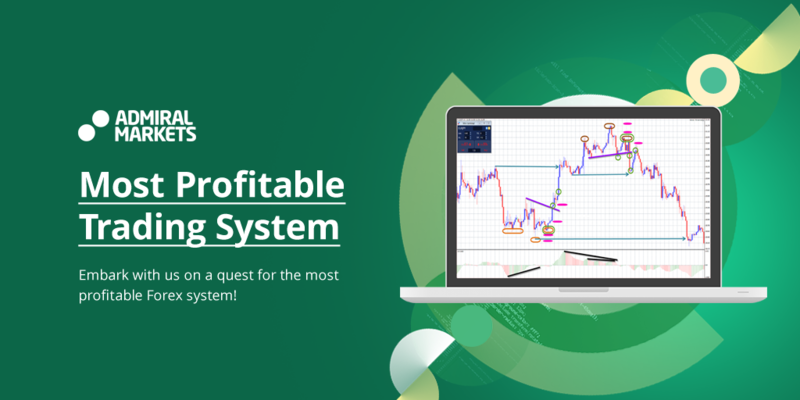 This article will give you an insight into them and, hopefully, will enhance your understanding of what you can mix from, how to complement various tools with each other, and how to find your individual most profitable Forex system. Technical analysis is the one that relates to charts. It is based on one of the Dow theory tenets: the market discounts everything. Every factor that influences supply and demand will be inescapably mirrored in the price, and for that matter, in the charts, as claimed by technical analysis supporters. 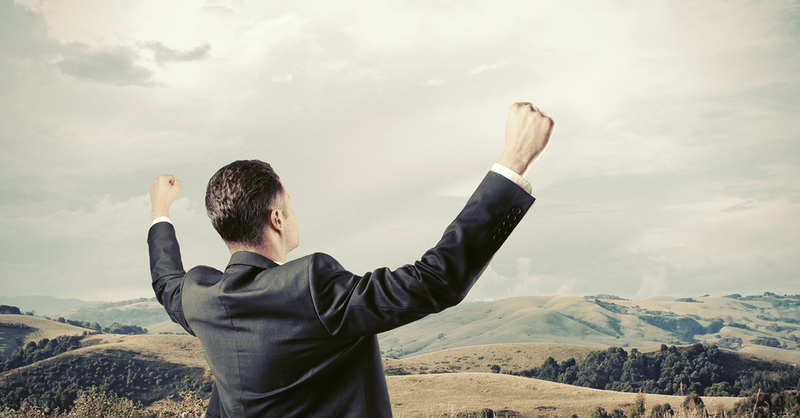 Whichever trading style you use – long-term positional or short-term intraday, you begin with the charts. They are usually formed of the time/price field at which the price is displayed for your interpretation. As of today, the world's most popular method of price action charting used not for the Forex market only is the Japanese candlestick. This method is almost 300 years old. There exist trading strategies that are based on reading candlestick patterns exclusively. They are subjective to some extent, however, because usually the example pattern and what you see on the chart differ to some extent, which makes the trader decide and interpret on the matter. For instance, you have to find out for yourself as a trader whether you want to enjoy freedom of chart interpretation or stick with algorithmic type trading with no room for self-debate. No one will do that for you. Please note that algorithmic trading is safer for rookie traders because it is more 'dummy proof' and rule-based. Getting back to candlesticks, strategies based on this pattern can be applied to different markets and on different time frames. Although this concept is easy to understand, it signals are not always quite precise. Even if you don't make candlesticks the sole pattern for your trading strategy, they, together with variations like Heikin-Ashi, might be used as a foundation for it. After your charts' price action has been mapped out, let's look at the supporting constructions. Price action trading is based on a notion that the market often revisits price levels at points where it reversed or consolidated. This familiarizes us with the concept of support and resistance levels in trading. Support or resistance (S&R) levels are not really lines strictly sticking to a pip, but more of an area that ranges from several to several dozens of pips in width, depending on what time frame you choose to analyse. As a rule, investors avoid trading near S&R, for it is imprecise if the price breaks through or bounces off. The most common trading system that integrates S&R is called breakout trading. Please note, however, that it's not necessarily the most profitable Forex system. When a breakout takes place and is supported by a candle that closes significantly beyond a level, that's a signal of a market momentum that might continue the market's movement further in the breakout's direction. 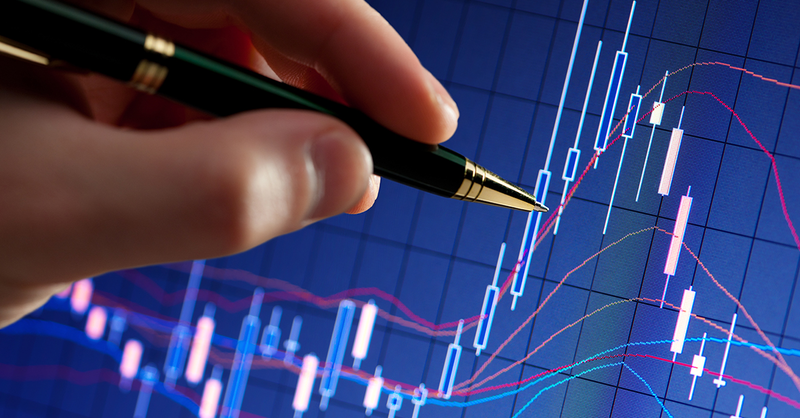 Traders can also conduct price action prediction with the following instruments in addition to the S&R levels: charting patterns like trend channels or triangles, and charting techniques like Fibonacci retracement patterns. It might happen that the same chart appears as incorporating different patterns to different traders, which might generate opposing signals. This is an evident weakness of the method, which is more art than science. Regarding Fibonacci, techniques that comprise data from outside the market, like 23.6% an apparently random and unrelated number interpreted neither by fundamental, nor by technical forces, are believed to be questionable by some. Retracement traders apply the theory of Elliott's wave as a foundation. The theory believes that the market moves in waves, and after a powerful wave ends, a smaller one comes as a pullback or retracement – this is asset price adjusting to its real trend. If you take a look at any chart, you will probably notice something similar. However, believing that Fibonacci ratios are able to precisely forecast the swings is very brave. If you are a beginner trader and enjoy searching for chart patterns, be aware that a human brain is extremely suggestive and might see regularity even in the most chaotic data. It might see a plough in a constellation, a head of cheese in a cloud, and even a human face among a bunch of hills on the Mars' surface, but it doesn't mean it's really true. Technical trading is based on a synthesis of two more Dow postulates: the market trends and trends exist until definitive signals prove they have ended. A trend is observed when the price action is moving in one evident direction for some period of time. Regarding this market condition, there's a saying shared by all traders that the trend is your friend. Usually, market investors enjoy measuring and following the trends by means of various technical indicators backing their strategies. In fact, the majority of indicators accessible on your trading platform – from moving averages of all kinds to the traditional MACD and Stochastic to the exotic Ichimoku – have the purpose of indicating whether there is a trend, and if so, how strong it is. Such investors tend to buy when the market is going up and sell when it's going down. As a rule, they skip the trend's start and never trade at the tops and bottoms. This is due to the fact that their strategies need to make sure that the new swing is actually signaling a new trend developing and is not just a pullback within the old trend. One thing strongly disliked by trend following traders and their systems is ranging market. It resembles a horizontal trend where the price action bounces up and down within a certain corridor. During such times, neither bullish nor bearish trend is visible, so traders stick around until a break takes place and a new trend evolves and proves itself. When applied in the right manner, trend following strategies prove to be the most secure and pretty much the most profitable trading strategies for trading Forex. Trend following strategies bring the best results when applied in a long run, for trends might take weeks and months to develop and might not end until years or even decades. Calculations show that in theory such strategies, which are also comparatively safe, can bring an average of 10-15% profit yearly. If you would like to become a trend following trader, you'd better ask yourself whether patience is one of your strengths and if you have enough risk capital to use. There is a big difference between earning $1k out of $10k compared to $10 out of $100. Even if technical trading or long-term investment does not interest you, the notion of market trending should definitely be implemented into your trading system. If you do not trust it enough to make it your primary action tool, then at least take it into account as a basic market principle. It is very helpful to know where the market is moving on the big picture; for this reason, even 15-minute intraday traders permanently look at the wider timeframes before starting their trades. Contrary to its technical counterpart, fundamental analysis looks at fundamental forces behind supply and demand, believed to be the dominant moving vehicles. Fundamental analysis supporters assert that even if a financial instrument is priced incorrectly in the short run, it will eventually return to its 'true' price anyway. Although fundamental analysis has almost nothing to do with price action, it still overlays with technical analysis in several areas. For instance, both acknowledge the notions of the trend and that of the key levels' importance, even though for distant reasons. Altogether, it should be noted that the Forex market is mostly traded by means of the technical analysis, while fundamentals are only applied as additional indicators or as a basis for several fancy strategies. Fundamental analysis originated in the stock market in the times when no one on Wall Street ever cared for putting price action onto charts. As long as Forex market does not deal with company balance sheets and income statements, currency investors look at the general condition of an economy of a country which currency they want to trade. The problem is that although countries resemble companies, currencies do not really resemble stocks. A price of a company's stock mirrors precisely this company's financial health. Fundamental analysts are able to diagnose a company's both bettering and worsening performance, and this usually allows forecasting how stocks might move. Nonetheless, in the case of countries, improving economy does not automatically mean growth of its currency's relative value. A country's government orders its central bank to decrease interest rates. This depresses the currency and brings down prices of domestically produced goods, which in its turn stimulates exports. All of the above makes the economy stronger, but the currency weaker. Quantitative easing is another example. This is an intrusive monetary policy of infusing large amounts of money into a national economy introduces by a country's national bank in times when interests rates are nearing or at the zero level. This is done in hope to improve the inflation, which might weaken the currency as byproduct. However, sometimes it happens that such policy forces speculations on the market increase outflow of the national currency offshore – this, to the opposite, strengthens the currency as a consequence. Thus it is found that a currency's relative value depends on many various factors, including national monetary policies, economic indexes and international events, the world's technology development and the so-called acts of God that could not have been predicted. The majority of traders see fundamentals and the go-figure type of an indicator, which could not be considered the most profitable Forex system due to its individual unreliability. Notwithstanding, the fundamentalists' brilliance has brought up several interesting strategies that might be looked at for ideas. For instance, the strategy of news scalping technically relies on fundamentals – with it, a trader looks at news releases and is motivated to act based on this information. This strategy provides for a very seldom traded yet significant market exposure together with a leveraged account and this might as well become a profitable Forex trading system, for it makes swift gains possible to all sophisticated and experienced traders. Carry trade strategy is another example, offering low income in the long run. Carry trade requires a currency pair where the base currency has high interest rate and the counter currency has low interest rate. This discrepancy develops into positive swaps that can grow into large amounts with time. Note that carry trade might trap your funds for longer time spans. Anyway, fundamental analysis followers share one particular market idea that came directly from the stock market. It is as follows: as long as supply and demand move the market, it must be the big players who affect the movement of the supply and demand. The investment mood of the big players defines whether the market is bullish or bearish at the moment. This is called the market sentiment. This notion is true for all financial markets, including Forex. If the volumes are increasing in the stock market, and the number of open trades (aka the open interest) is decreasing, this might mean that the market sentiment is about to change, and its direction will follow. As long as Forex market trades are conducted over-the-counter, you cannot assess either the trading volume or open interest as it is possible on the stock market. The second best thing that can assist you in evaluating the market sentiment is the Commitments of Traders report for the Forex futures market. CoT reflects the net long and short positions taken by investment and speculative traders – which is in fact the market sentiment. The report is released by the US Commodity Futures Trading Commission once a week. Of course, the CoT will give you no direct hints for entry and exit points, but it definitely mirrors the mood of the market. If you add methods of technical analysis to it, you might as well make it into a potentially profitable long-term Forex system. It is able not only to follow trends, but also to catch the swings. There exist quite a lot of profitable Forex trading systems, and it is hard to determine which one brings the most gains. Actually, this is something that every trader has to identify on his own. Many factors influence how profitable a Forex system is, including the trader himself and the market in general. Remember that trading strategies are poor performers in ranging markets, while long-term strategies are not good at all for short runs. Similarly, aggressive traders need to act immediately, while careful trader would not go for the risk of day trading. You as a trader can use various tools available to create a strategy of your own or amend and improve an existing one. Or you can do both, which will give you several strategies to work with at the market. In any case, you must have a profound knowledge of how a certain strategy operates, and be disciplined enough to follow it. To sum up with, remember that a Forex trading system is only as profitable as the trader who is applying it.